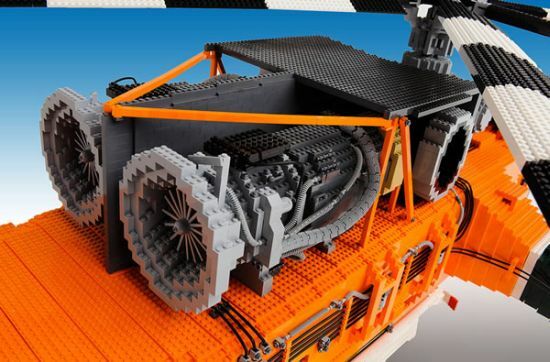 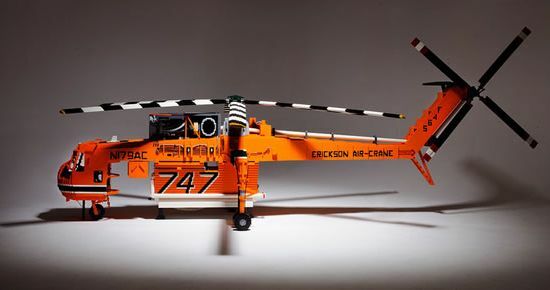 If you think that you have some of the most creative LEGO designs in the past then what would you say about the Erickson Air-Crane model. 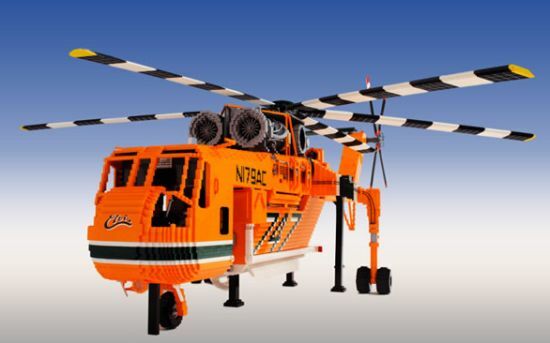 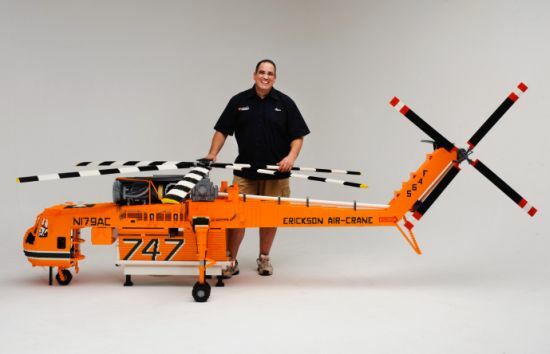 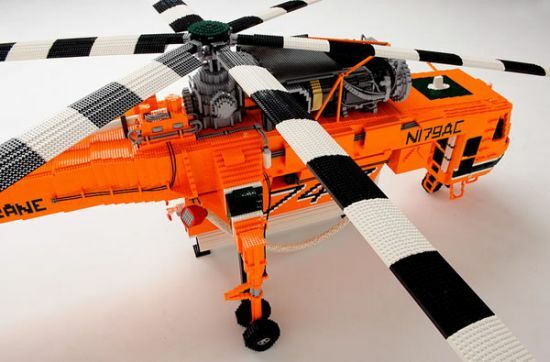 Developed by Australian LEGO master Ryan McNaught (aka The Brickman), the LEGO helicopter dubbed the “Erickson Air-Crane” that is made using 100,000 multicolored LEGO bricks (largely orange), presenting a vibrant work of art. 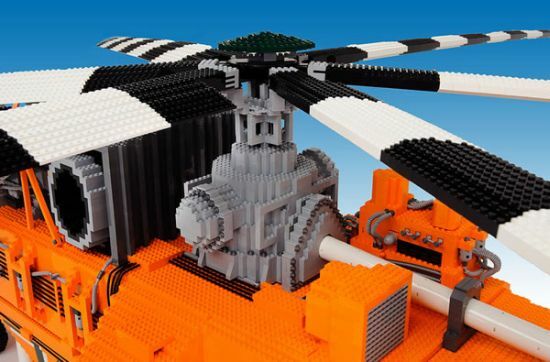 Developed for Brickvention 2013, the creative chopper with propellers is about 4m long and over 1m high, which is possibly the largest helicopter made out of LEGO bricks ever. 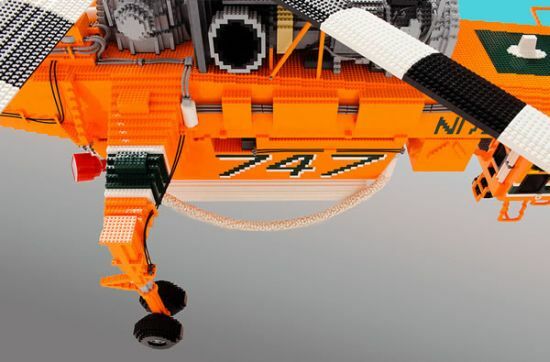 The design of the LEGO helicopter crane isn’t as easy as other LEGO creations, for it took over a month to design and build the complex yet aesthetically pleasant artwork.